Enjoy a modern look by choosing the large Black Rosary with Wood Crucifix. 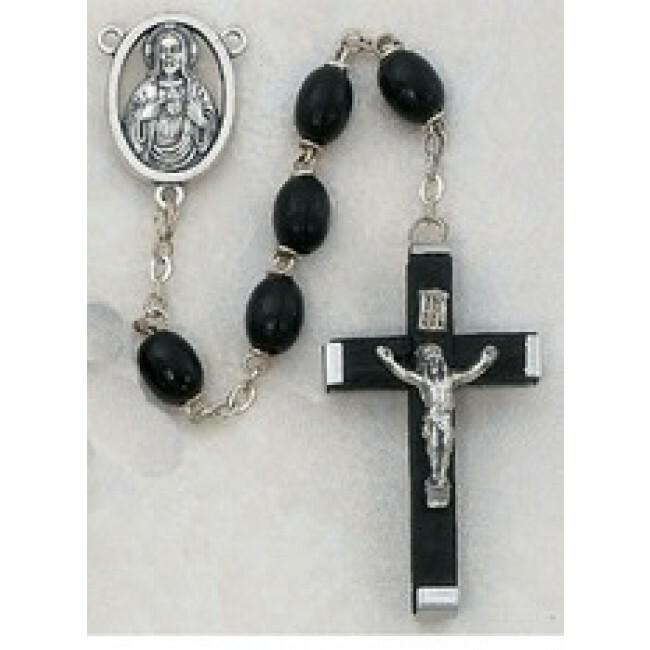 The design features a complimenting black wood crucifix with metal backing for reinforcement and large oval wooden beads. The beads have a black finish that gives the rosary a sleek and contemporary feel. The center medal of the design has the Sacred Heart of Jesus on the front and Our Lady of Mt. Carmel on the reverse. Choose the rosary for yourself or give it as a gift to a loved one or friend.